During one of my countless conversations with John Peck about “wisdom,” he told me a funny story about the leisurely British game of “bowls.” Since most Americans will find that game unfamiliar, I should first describe it so that John’s story, below, will make sense. 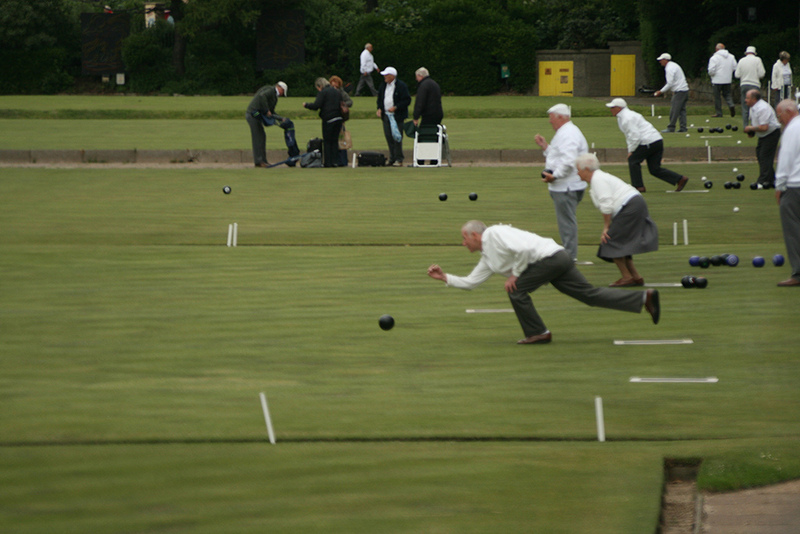 Bowls is usually played outdoors on a long rectangular patch of short-cut lawn called a green. A player – a bowler – starts the game by standing at one end of the green and rolling a small but fairly heavy and solid white ball, the jack, down the green to the other end. The jack is not rolled again during that game. A lot of sportsmanship ensues as bowlers take turns rolling their much larger and heavier black balls down the green to see who can get closest to the jack. Sounds easy enough, but the larger balls are biased (with interior weights) and so do not travel in a straight line – they follow various degrees of arcs when bowled toward the jack, not unlike American fingertip bowling balls en route to the pocket. Once all the balls are bowled, the direction of play is reversed. To get points, bowlers must to get as close to the jack as possible by the end of the game, and to do that they employ various strategies, such as trying to knock an opponent’s ball out of the way. Once as our family was driving through a park, one of the younger kids amused us by looking out of the back of the car and shouting, “Look, Dad, cannonball races!” Everyone looked around and saw a green with a leisurely game of bowls in play. As my young son did, we all interpret any new phenomenon in terms of what we already know. So let’s pull the car into a parking space, watch the game closely, and imagine a discussion between me and my son. You can find this story in our book Uncommon Sense: God’s Wisdom for Our Complex and Changing World (Chapter 7), and John’s point was to call my attention to the importance of the relationship of wisdom to theories. You could hardly blame my young son. I failed to address his basic assumption that these were cannonballs, and that this mistake resulted in a different theory about the game of bowls and its rules. Because I had a different theory about the game and failed to acknowledge that, he could not understand the game or my explanations of it. What is more, in his attempt to make sense of what he was seeing in this new experience, his faulty theory meant that he asked the wrong questions. My answers, therefore, even though they were from the correct theory, were not helping him in the least, for they were not answering the questions that formed in his mind using the faulty theory. It is, of course, a parable. In Uncommon Sense, John and I went on to discuss this at some length, such as to show how dad’s neglect of, or possibly ignorance of, the son’s faulty theory made communication and progress on the issue impossible. Of course, the problem in that situation was a trivial one and easily resolved in terms of the father and son’s common culture. Yet the form of the problem is similar for all of us with respect to bigger and crucial issues, such as come up in science, education, religion, politics, and elsewhere. In such areas, a new problem will not be easily defined or practically resolved when people bring different theories to it. And when contradictory theories are brought to it, you have a huge mess. The form of the problem also exists in varying degrees between an ethnic minority and the dominant culture, or liberal and conservative Christians, or labor and management, or left wing and right wing politicians, or American Christians and Muslims in the Middle East – the list goes on. As a culture increasingly fragments, as its structural problems present themselves more intractably and its conflicts become more wide-ranging and more common, if they are not corrected, a culture ends like the Tower of Babel, if not in a civil war. And the principle holds true also for the international scene. What we need, then, is a wisdom – a way of seeing life and living in it – a way of making sense of the creation and living in it effectively – that makes sound theories possible for coping with and communicating about life’s problems. What we are talking about is having theories that correspond, as much as it is humanly possible, to rightly understanding and stewarding the many and varied aspects of God’s world. Lacking that, life goes terribly wrong. Therefore, seek wisdom. 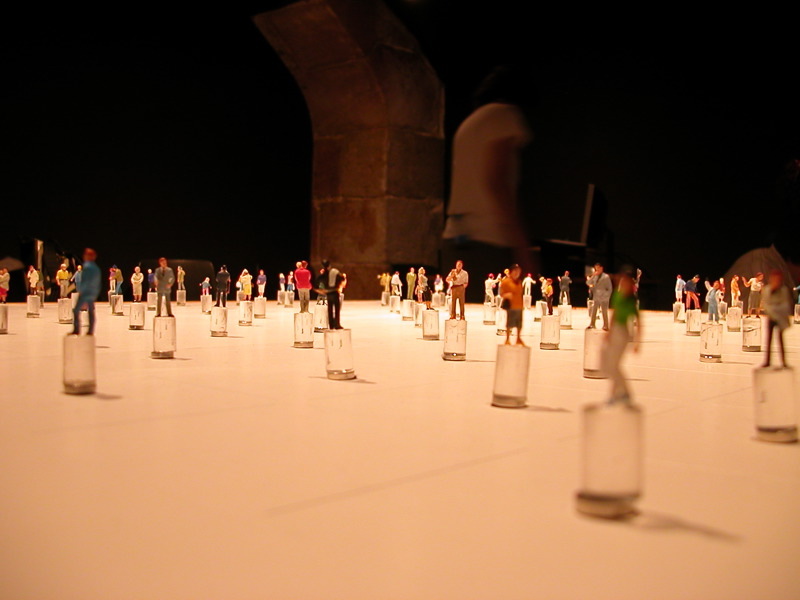 In the next post I want to share some clues from the Bible about that kind of seeking. This entry was posted in THE WISDOM TRADITION, UNCOMMON SENSE and tagged Bible, bowls, Charles Strohmer, John Peck, theories, wisdom, wisdom litertature, Wisdom Tradition by Charles Strohmer (c) 2014. Bookmark the permalink.